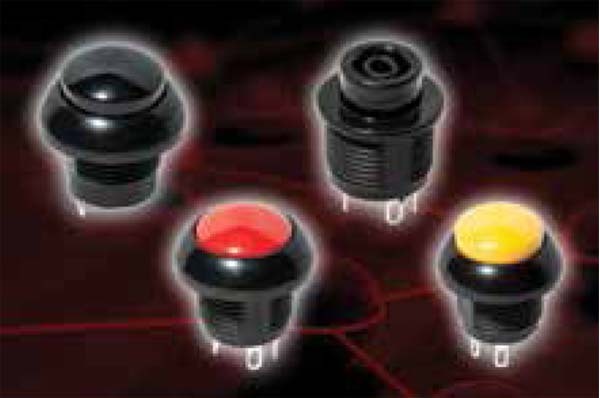 C&K’s PNP3 series pushbutton switches are reported to provide lower operating force and a no-cap option. Photo courtesy of C&K. NEWTON, Mass.—C&K, a custom designer and manufacturer of electromechanical switches, recently launched its new PNP3 series of sealed pushbutton switches with an additional no-cap option. The new switches are intended for rugged applications, such as control grip, off-road panels, industrial instruments, lifts, and conveyor controls. Constructed in a black PBT/PC thermoplastic housing, the switches include an internal silicone rubber seal and are rated to IP68, making them well-suited for harsh environments, power wash-down applications, or anywhere the switch may be exposed to dust, water, or other damaging elements. The PNP-series switches are tested for vibration (10 to 500 Hz) and shock (up to 50 g) and are rated for up to 1,000,000 cycles, C&K said in a press release. According to C&K, snap action provides positive tactile feedback while the lower operating force of just 3 N reduces operator fatigue. Designed for front panel mounting, the switches have a threaded body and are available with a dome bezel as a standard option. A range of actuator styles and colors are offered, and the PNP-series (including PNP8) switches may also be specified with the new no-cap option, allowing greater flexibility for designers. The switches are capable of handling resistive currents up to 5 A with silver contacts. A gold-over-silver contact option is available for low-current applications, down to 10 mA. Circuit options include momentary action SPST NC, SPST NO, and SPDT, all with double break. C&K (https://www.ckswitches.com/) is headquartered in Newton, Massachusetts, with global design centers in Newton, Massachusetts; Dole, France; and Huizhou, China. The company’s electromechanical switches include tactile, pushbutton, snap-acting, toggle, and rocker switches, among others. 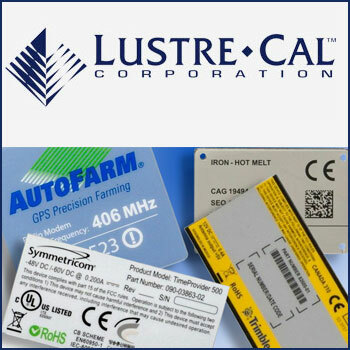 They are used in numerous applications, including automotive, industrial, IoT, wearables, medical, telecom, consumer products, aerospace, and POS terminals.